Come back tomorrow for a new challenge! 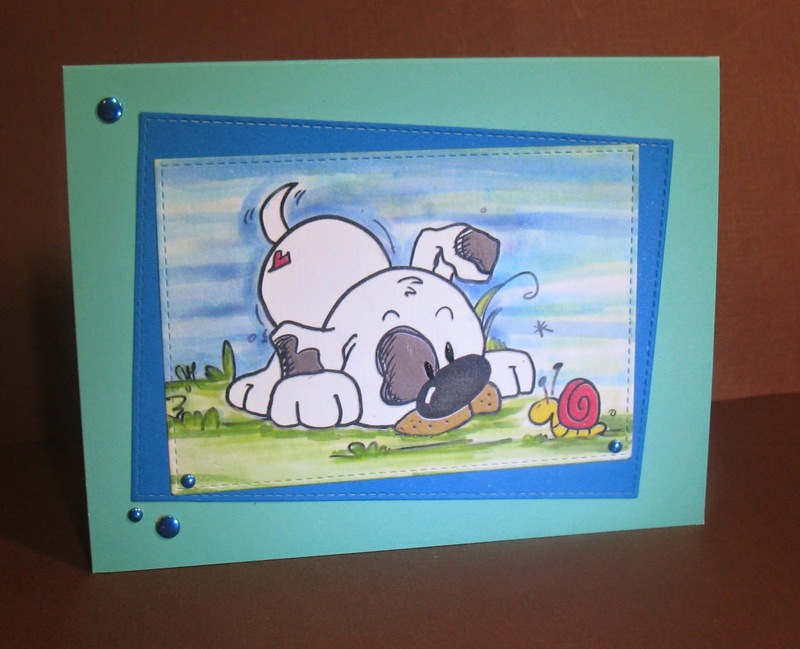 Marsha chose the perfect background paper for her image. 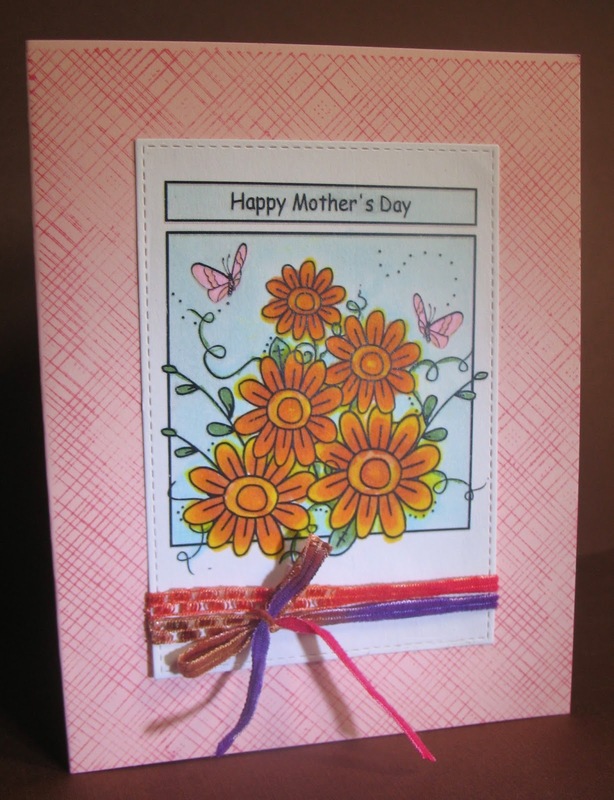 She's able to achieve different looks with her dies and ribbons. 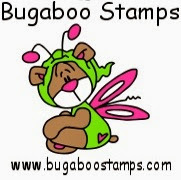 Bugaboo Digi Stamps Silhouette Butterfly, Cuttlebug Swiss Dots embossing folder. 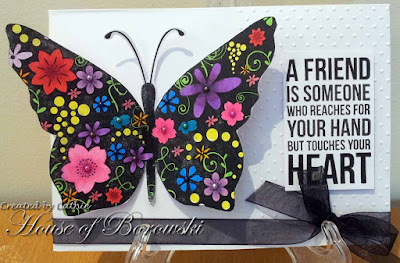 Isn't that butterfly simply divine? 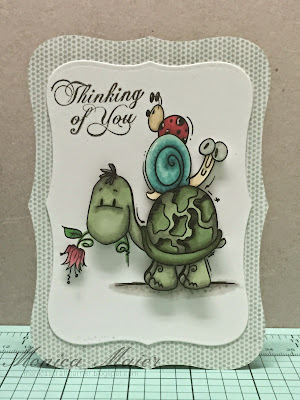 The sentiment sitting on the dotted embossing makes this a stunning card! What a lovely card for Mother's Day-I'll bet this was a hit! 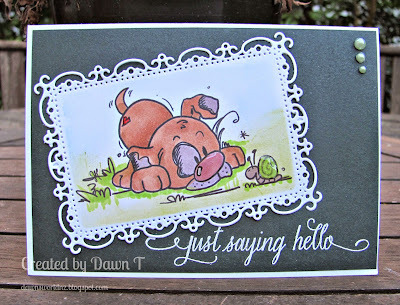 I just love the embossing that was sanded, and the colors Dawn chose. 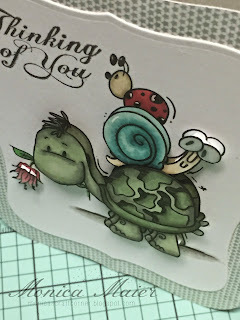 Really adorable card! 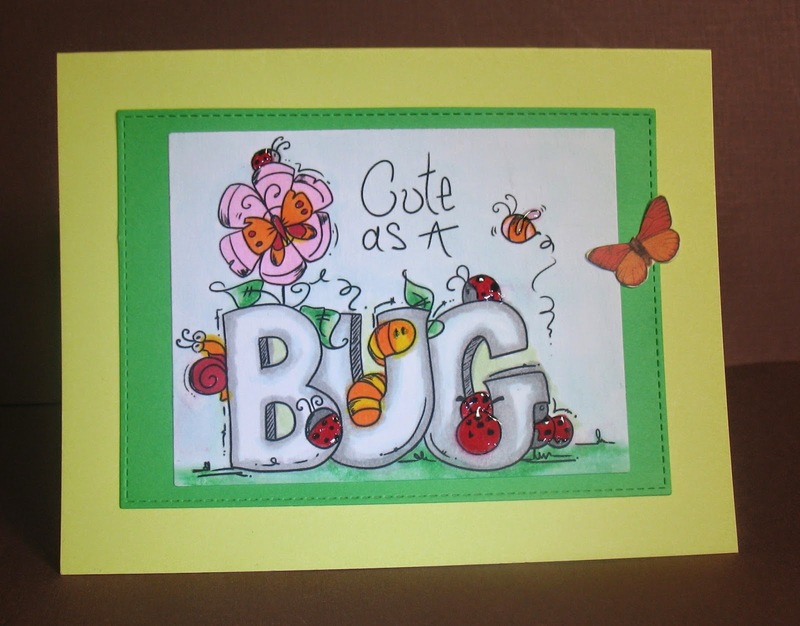 and Arlene's card is cute as a bug, isn't it? 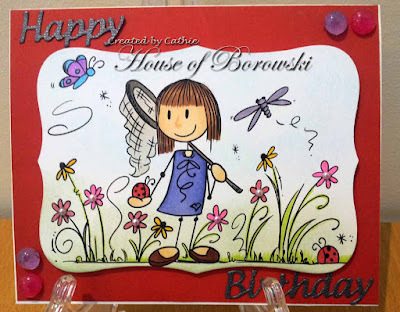 Cathie's cards is pure sweetness with the bug loving girl! 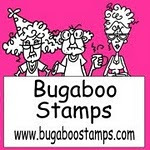 Bugaboo Knobby Knees Girl Bugs, Spellbinders Label 8, Elizabeth Craft Designs Happy Birthday. Remember to feature bugs on your challenge entry! I love that background paper she based her card and coloring on-great job, Monica! I'm so jealous of Cathie's coloring abilities-what lovely shading she accomplishes! Be sure to get "Buggy" and enter the challenge! 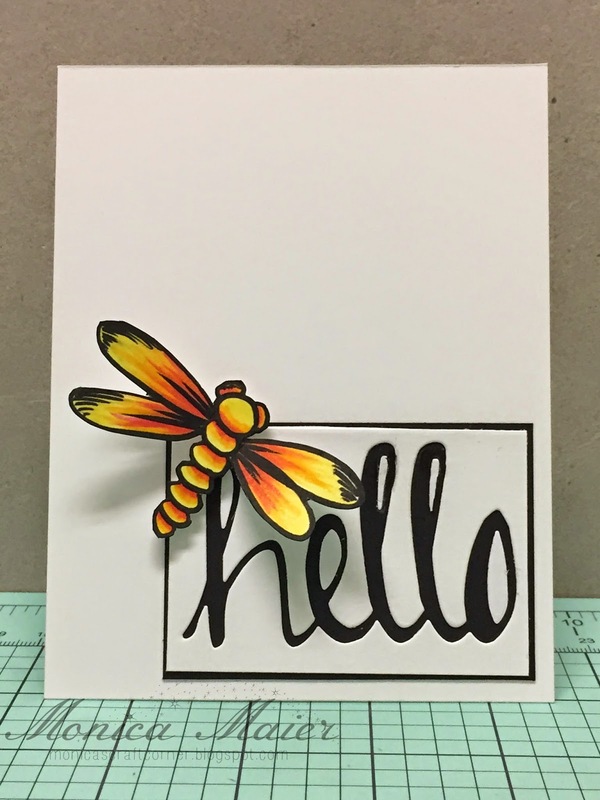 and here are some cards featuring different ways to use dragonflies! I love how she repeated the digi and made a great border. Love the CAS, with the golden dragonfly providing a big pop of color. I made this for a wonderful teacher and friend who recently passed away. Laura, you will be missed! 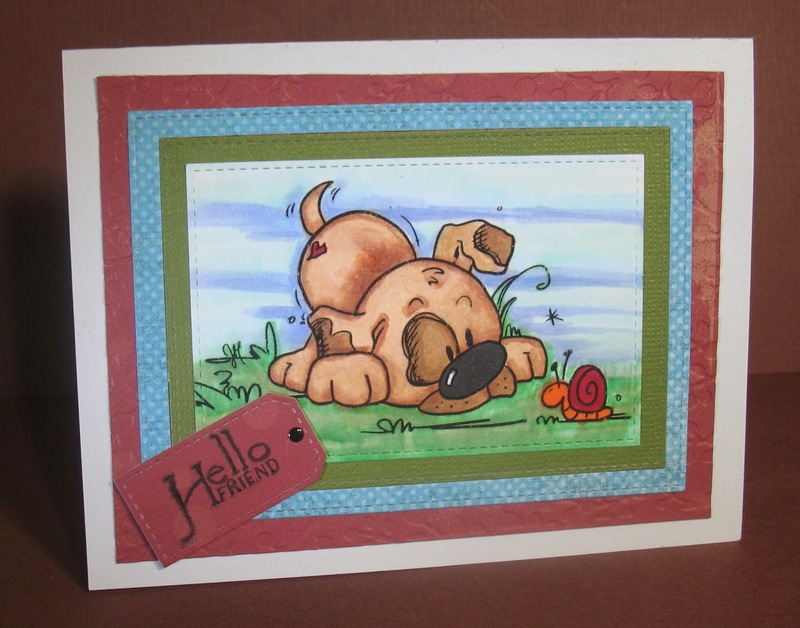 Don't you just love the background sky Arlene created-it really does look like her puppy is outside! 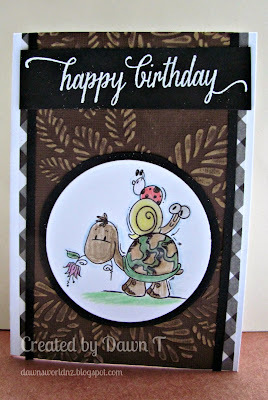 and Marsha's card- Arlene at A Bit of This and That. 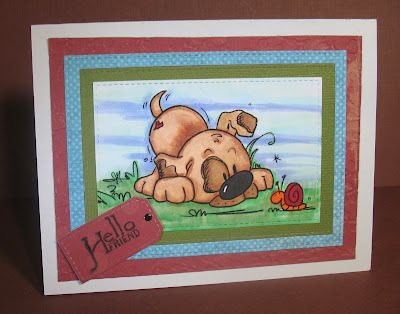 What a cute scene Marsha created-that grass is so realistic. 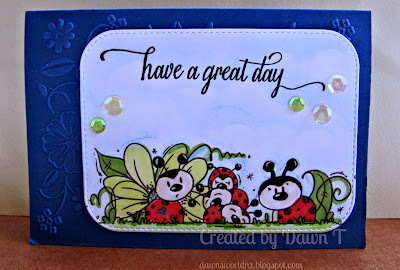 I love the sentiment she chose! SOMETHING YUMMY TO EAT" was our May Challenge. The prize is a $10 gift certificate. 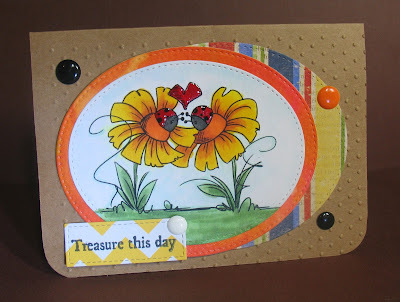 Such a cute gift card, especially when a bag of cookies is attached. 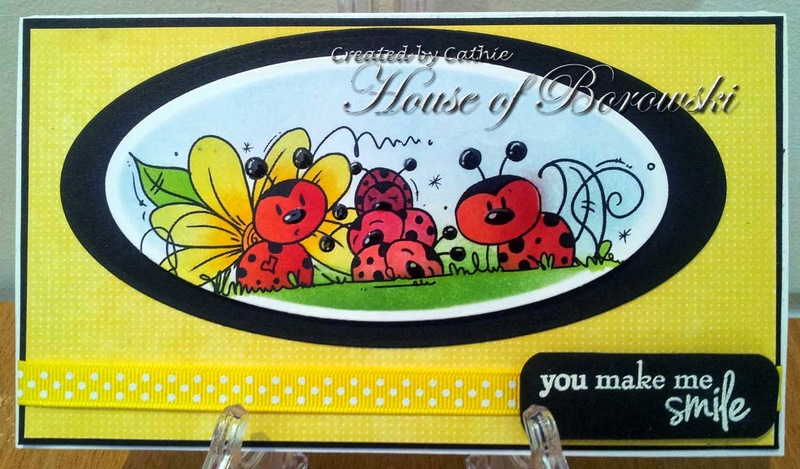 What a great way to give a gift. Arlene and Michelle's pick is Art with Yogi with a beautifully done card. Each panel was a little work of art. 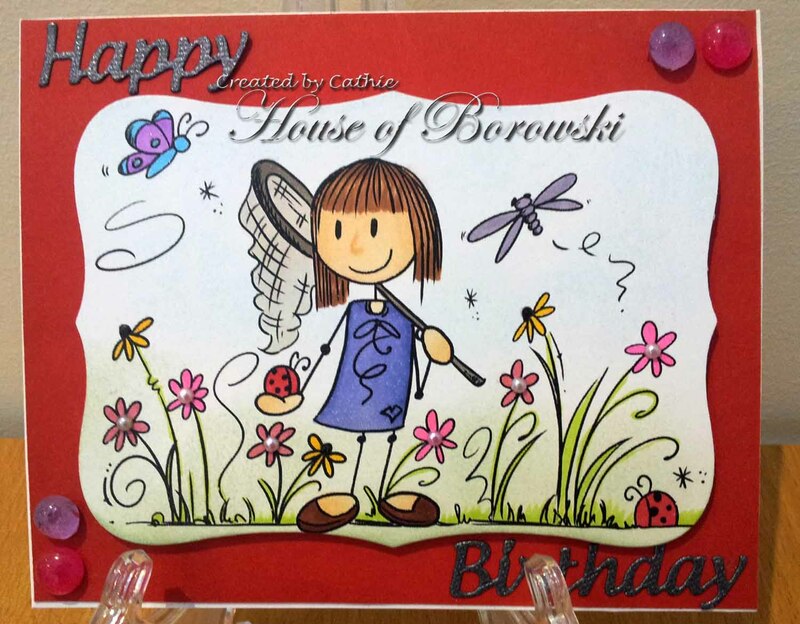 We loved having you all participate in our challenge and we enjoyed working with the Doodle Pantry images. They are so much fun. 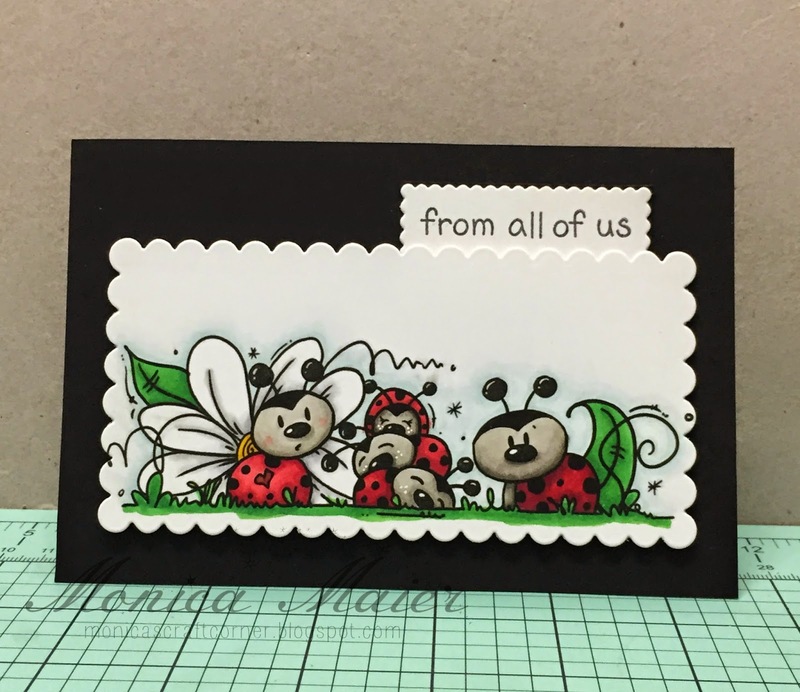 And here are our Design Team Inspirations! Hero Arts Note Card Visit Arlene at A Bit of This and That. 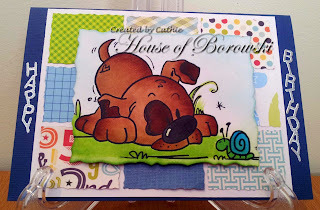 What fun projects from the Design Team! 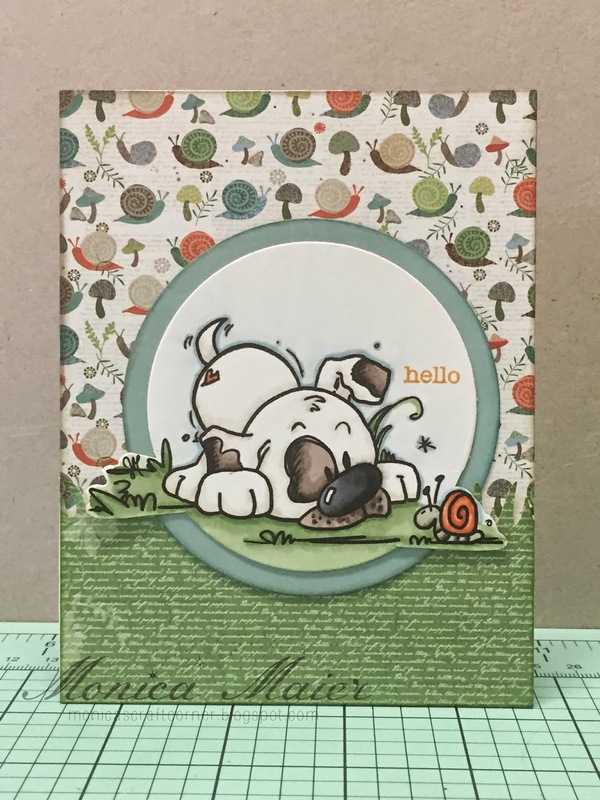 Join us with your fabulous projects for a chance to win!